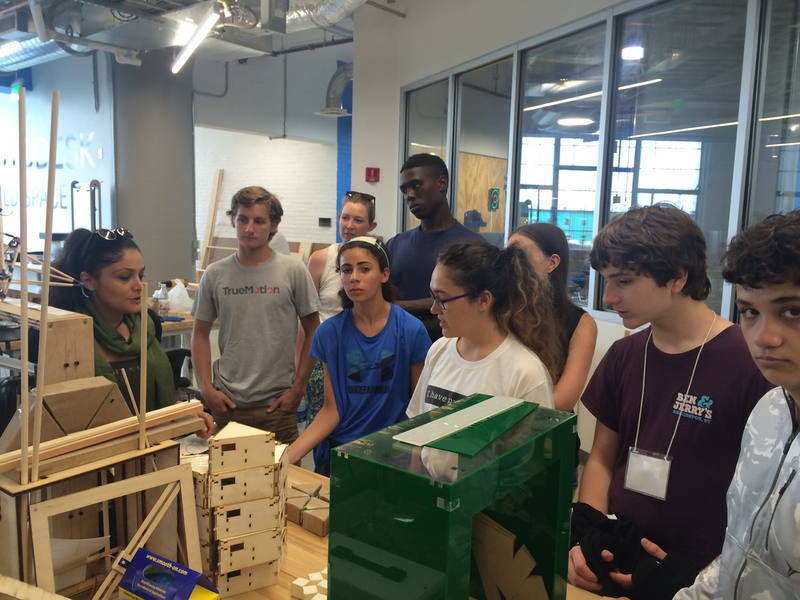 Epiic Solutions creates one-of-a-kind summer experiences for middle and high school students to explore entrepreneurship, innovation, and design through hands-on workshops and field trips. Each week has a different theme that aligns with teen passions and interests, which allows for college and career exploration opportunities. Epiic Solutions summer experiences are one-week programs created for middle and high schoolers to design, develop and pitch their own startup ideas, while exploring Boston's thriving entrepreneurship ecosystem through networking events and field trips. Are you curious about the intersection between technology, problem solving, and entrepreneurship? STEAM Startups is a great one-week program to explore the huge growth in STEAM (science, technology, engineering, arts and math) -related solutions, and learn how companies leverage innovation and design to build new products and services for customers. Through hands-on activities and workshops, teens work in small teams to develop their own STEAM-based startup idea, as well as travel across the city to meet founders, startups and companies working in the STEAM field to explore various college and career pathways. The STEAM Startups program culminates with a Team Pitch Competition where teens present their startup ideas to a panel of judges (local entrepreneurs and investors), family and friends. Separate sessions available for middle and high school students. Who runs the world - girls! This girls-only one-week program is all about female entrepreneurs, aka Fempreneurs! Through hands-on activities and workshops, teens work in small teams to develop their own startup idea. Teens engage with women founders and women-led startups through afternoon field trips to learn more about how to build a successful business and the variety of college and career pathways available. The Fempreneur program culminates with a Team Pitch Competition where teens present their startup ideas to a panel of women judges (local entrepreneurs and investors), family and friends. This program is only available high school female students. Entrepreneurial Mindset: Innovators and entrepreneurs are creative problem solvers. They view challenges as opportunities and provide valuable solutions that meet customers' needs. It takes a combination of creativity, critical thinking, empathy, perseverance, and the growth mindset to change the world. Tools: How do innovators and entrepreneurs bring their ideas to life? Learn key concepts and strategies around customer development, the design thinking process, the lean startup, and the business model canvas to transform your ideas into real solutions. Network: It's all about who you know. Engage with Boston's best and brightest innovators and entrepreneurs, explore innovation and entrepreneurship on local campuses, and see some of the most inspiring spaces. Learn how to navigate the local entrepreneurial ecosystem and develop a deep appreciation for our nation's most entrepreneurial city!